Today organizations teaching Transcendental Meditation in many countries held an annual conference celebrating the achievements of the worldwide programmes founded by Maharishi Mahesh Yogi. The conference also featured a previous new year celebration, on 12 January 2003. 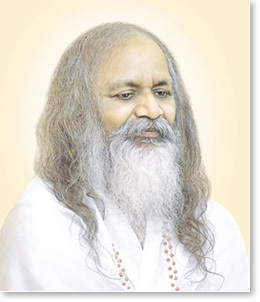 On that occasion Maharishi placed special emphasis on a major initiative to establish large groups of Vedic experts in India to create an influence of peace and harmony in the world. This would be achieved through these Maharishi Vedic Pandits' daily practice of Transcendental Meditation and its advanced programmes, and their performance of special Vedic recitations. Maharishi described more about how the influence of large groups of these specially trained Vedic Pandits reciting the Veda in India will spread, generating harmony in world consciousness. 'From one place on earth the whole mankind will have that effect of harmony in coherence. The result will be less and less of negative trends and performances in the world, and more and more of coherence, and more and more of evolutionary trends, tendencies, and programmes in all parts of the world. That will be the specialty of this year. On the basis of the 'lively harmony' created by the 'self-sustained coherence' of these Vedic recitations, all the diversities and activities on every level of existence would take place in perfect orderliness, Maharishi said. 'All time, all space values will be permeated with harmony, with evenness of higher intelligence.